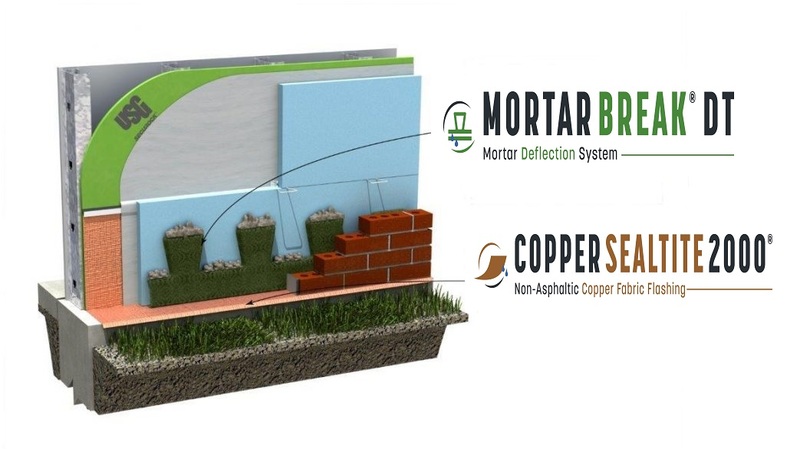 Mortar Break® DT is a dovetailed mortar deflection system for cavity wall construction that breaks up mortar on multiple levels. The design gives specifiers and contractors more options from one manufacturing source. The product is 250 mm (10 in.) tall with a 178-mm (7-in.) deep dovetail notch, meeting all current mortar deflection specifications. 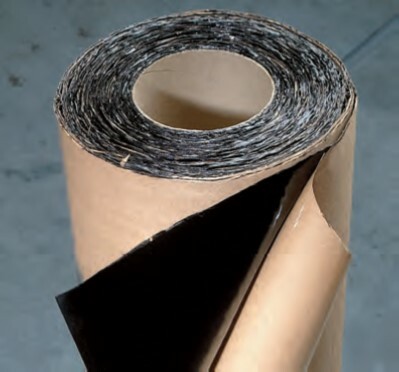 It can be used at all cavity wall flashing locations. 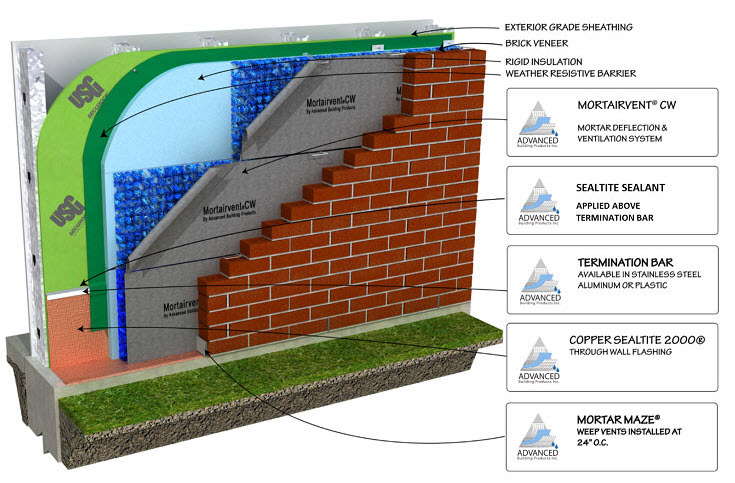 The molded polymer core geomatrix design allows moisture to seep down through any mortar droppings and weep out of the wall through mortar free weep vents. The 90 percent open mesh allows for proper air movement and water drainage. In-situ load testing is a powerful tool to assess the performance of structures with respect to their ability to carry code-prescribed loads. The practice dates back to the late 1800s and has been used to verify the load rating of structures. A well-defined selection and layout of masonry veneer anchors can improve performance and durability of enclosures using masonry veneer cladding. Often, the masonry veneer is shown on architectural drawings and the anchors are included in the specifications. Thin brick walls have traditionally been used in home construction or as a part of precast panel walls. However, these assemblies are becoming more common for non-residential projects, thanks to owners and developers who see them as a way to build with brick more inexpensively. Well-known for its beauty and durability, granite offers numerous design benefits. However, a less familiar advantage is its versatility—particularly when multiple finishes are applied. Today, design teams are selecting one granite type, choosing several finishes, and achieving great variety, texture, and appeal. Since October 2014, St. Louis’ Freedom Place (4011 Delmar Blvd.) has served as a ‘symbol’ of hope for those less fortunate. Constructed in 1928, the restored apartment building underwent major changes by the St. Louis Masonry branch of Western Specialty Contractors.